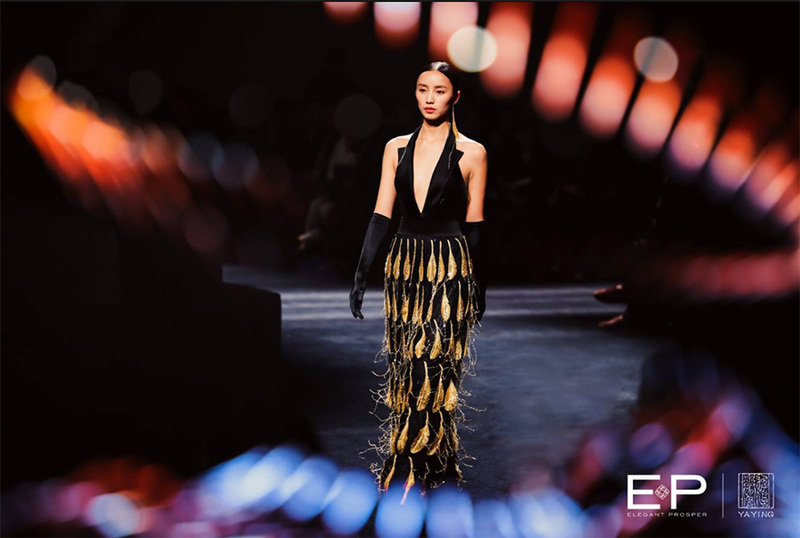 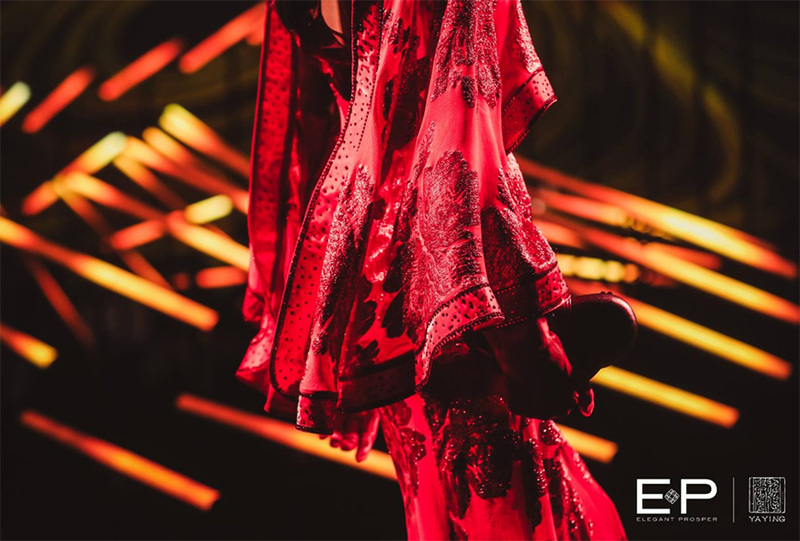 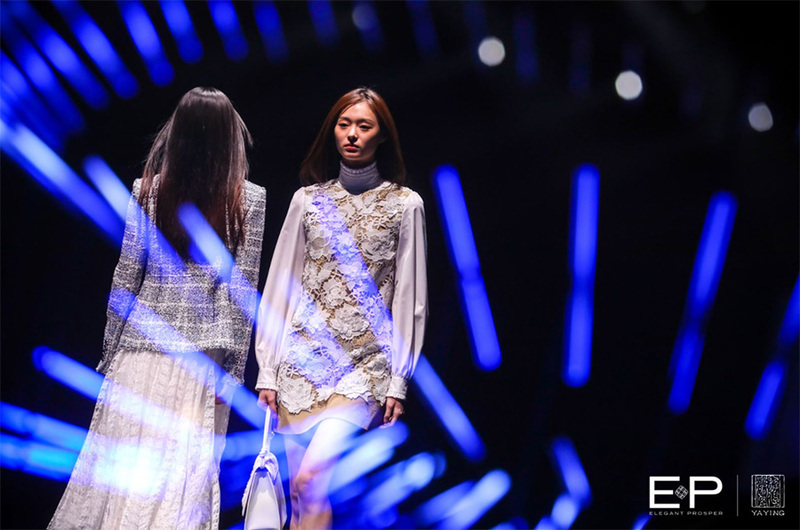 Chinese brands EP and Ya Ying organized a joint runway show in Beijing, releasing the EP 2019 spring/summer collection and Ya Ying haute couture collection on a stage designed by French team Collectif Scale. 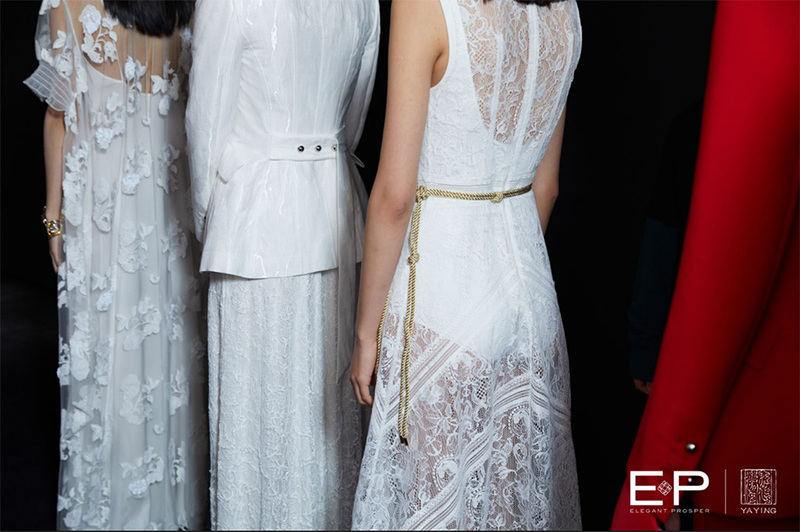 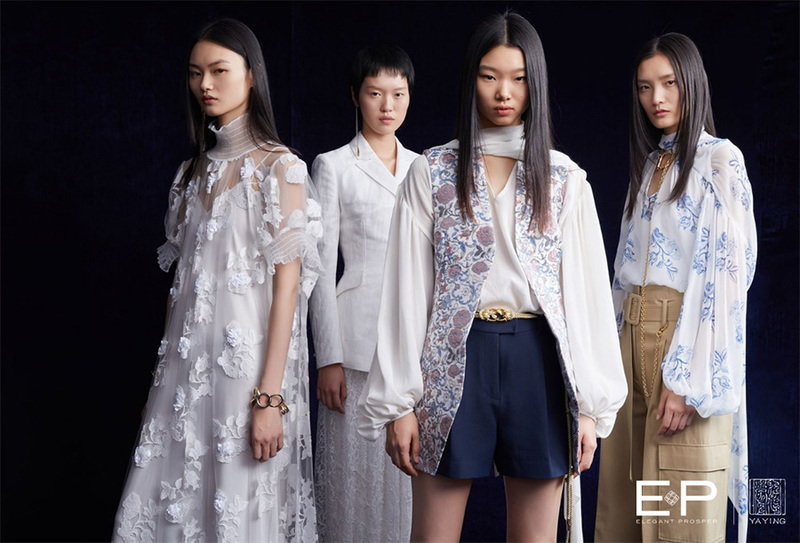 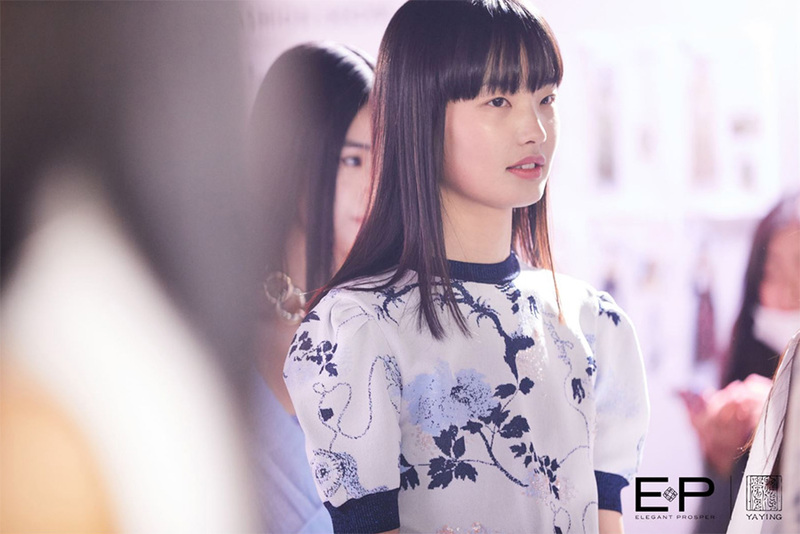 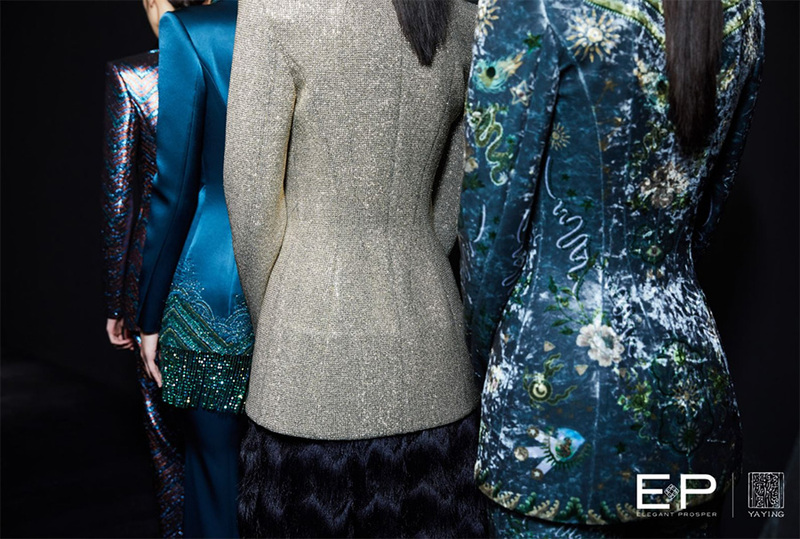 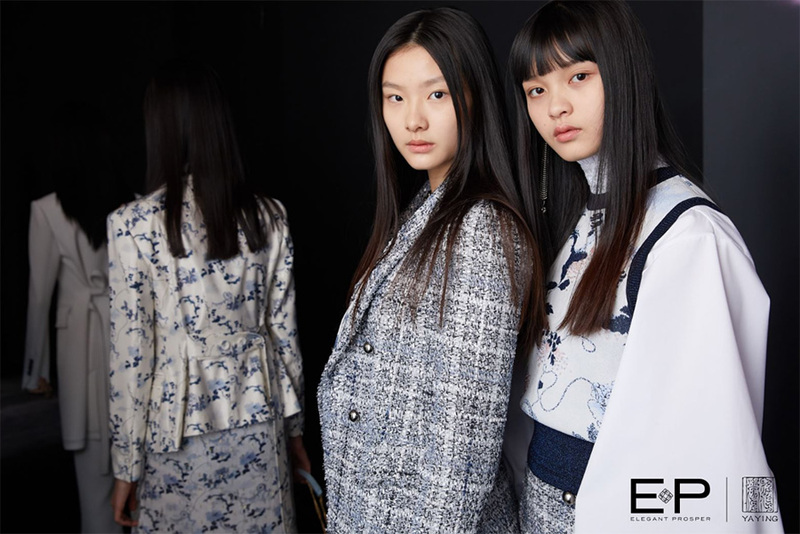 EP collections featured clean-cut blazers and feminine dresses, as well as luxurious silk finishes with delicate jacquard, guipure lace and embroidery. 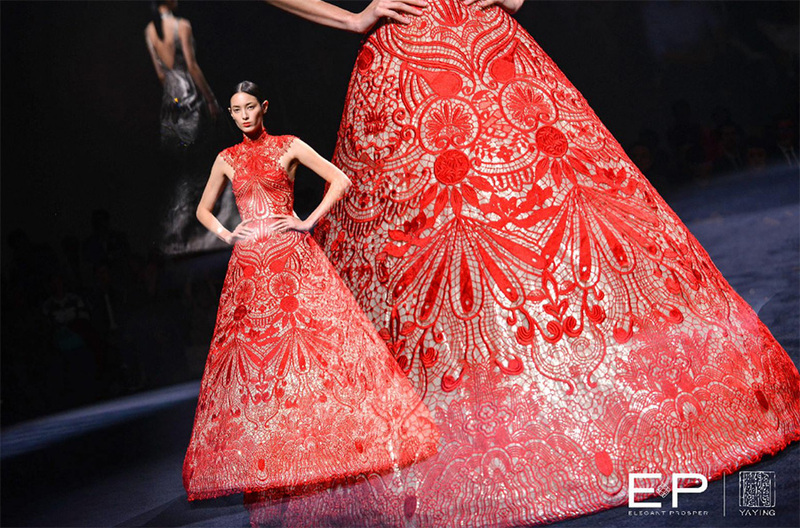 Designer Chen Xi created exquisite details, mixing 3D beaded patterns and silk handmade embroidery and traditional techniques. 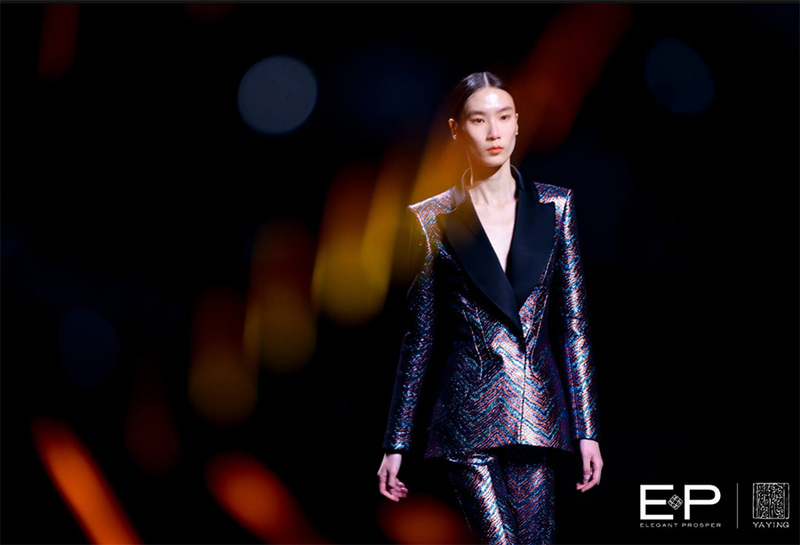 Ya Ying haute couture, a brand founded in 1988 in Jiaxing, Zhejiang, which celebrates Chinese culture and pays tribute to traditional craftsmanship, drew inspiration from traditional silk attire, royal ornaments and embroidery in its line of clothing.